Jake Kalish does not have any MLB stats for the season. Draft: 2015, Kansas City Royals, 32nd rd. April 18, 2019 LHP Jake Kalish assigned to Omaha Storm Chasers from Northwest Arkansas Naturals. April 4, 2019 LHP Jake Kalish assigned to Northwest Arkansas Naturals from Omaha Storm Chasers. 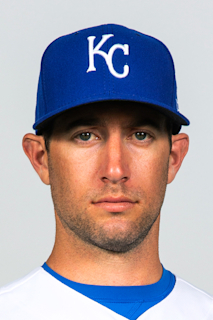 January 8, 2019 Kansas City Royals invited non-roster LHP Jake Kalish to spring training. November 26, 2018 Gigantes del Cibao placed LHP Jake Kalish on the reserve list. October 13, 2018 LHP Jake Kalish assigned to Gigantes del Cibao. June 26, 2018 LHP Jake Kalish assigned to Omaha Storm Chasers from Northwest Arkansas Naturals. June 13, 2018 LHP Jake Kalish assigned to Northwest Arkansas Naturals from Omaha Storm Chasers. May 28, 2018 LHP Jake Kalish assigned to Omaha Storm Chasers from Northwest Arkansas Naturals. April 1, 2018 LHP Jake Kalish assigned to Northwest Arkansas Naturals from Omaha Storm Chasers. March 26, 2018 LHP Jake Kalish assigned to Omaha Storm Chasers from Burlington Royals. September 2, 2017 LHP Jake Kalish assigned to Burlington Royals from Omaha Storm Chasers. August 19, 2017 LHP Jake Kalish assigned to Omaha Storm Chasers from Northwest Arkansas Naturals. May 15, 2017 LHP Jake Kalish assigned to Northwest Arkansas Naturals from Wilmington Blue Rocks. June 4, 2016 LHP Jake Kalish assigned to Wilmington Blue Rocks from Lexington Legends. May 13, 2016 LHP Jake Kalish assigned to Lexington Legends from Burlington Royals. July 11, 2015 LHP Jake Kalish assigned to Burlington Royals from AZL Royals. June 16, 2015 Kansas City Royals signed LHP Jake Kalish.